Studies in K-12 classrooms have shown a correlation between chess instruction and an increase in reading and other cognitive skills. 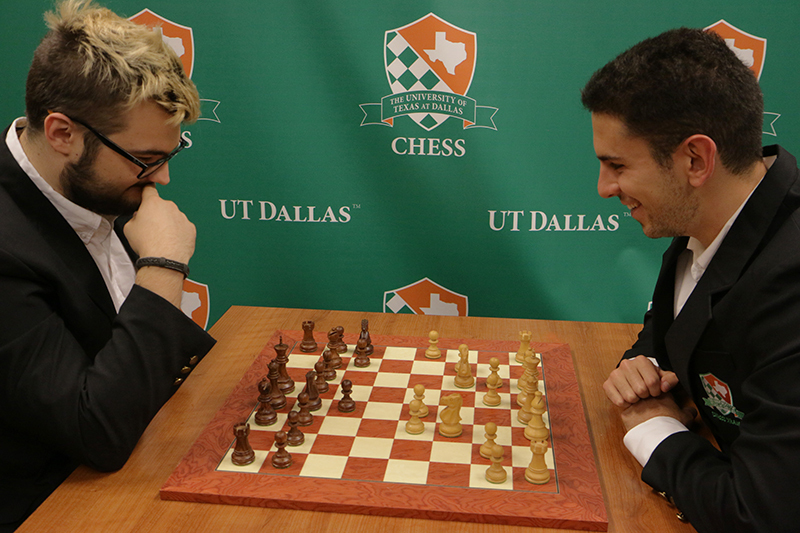 If you are interested in learning how to incorporate chess in an educational setting, our two three-hour, for-credit Chess Online courses may be for you. The courses run on the semester schedule. In the fall and spring semesters, start ED 4358 at the beginning of the Full Term (16-week) and/or begin ED 4359 at the second 8-week session. ED 4358 and ED 4359 are also offered during the 8-week summer session. Please contact Ste’ve’sha Evans at [email protected] or at 972-883-2323 with questions. Students registering for these courses must first be admitted to UT Dallas. Since students from all over the world may register for these courses, we have made this process as simple and seamless as possible. Therefore, the first question is: 1. Are you currently registered as a student at UT Dallas? If the answer is yes, proceed to step 3. If the answer is no, proceed to step 2. We accept checks or money orders. An official copy of your transcript is acceptable for processing a non-degree seeking application. [This form is attached separately]. Mail your check or money order made out to UT Dallas along with your application and official copies of all transcripts to: The University of Texas at Dallas School of Interdisciplinary Studies Attention: Ste’ve’sha Evans / Chess Online 800 West Campbell Rd., HH 30 Richardson, TX 75080-3021 3. Name and email address of your advisor. For permission for ED 4358, email Dr. Alexey Root before the deadline to Add/Swap a Full Term Session course. For ED 4359, you must get permission from Dr. Alexey Root by 5 p.m. on the Friday before the first day of class of the second eight-week session. For the summer session, get permission for ED 4358 and ED 4359 by 5 p.m. on Friday before the first day of class of the eight-week session. Do I need to know how to play chess before I take the class? No, you don't need to know chess already. Due to course assignments, by the end of the course, you will know how to play chess at a very basic level. Do I have to take Chess I before I take Chess II? You may take Chess I or Chess II, in either order or during the same semester, in the fall and spring semesters. ED 4358 and ED 4359 are also offered during the 8-week summer session. Do the classes meet weekly in chat or are all assignments via email? For Chess I, two lesson plans are due by email; in addition, there are Discussions assignments. In Discussions, each program has its own private space, called a board. Within each board are conferences that have been set up by the instructor. The Discussions conference is a place for students to submit their thoughts about a particular question, and show understanding of the lessons and readings. Students will also read and comment on others' postings. What is the deadline for permission for the Chess Online courses? The Chess Online courses require permission of the instructor. For permission for ED 4358 in the fall and spring semesters, email Dr. Alexey Root before the deadline to Add/Swap a Full Term Session course. For ED 4359 in the fall and spring semesters, and for both ED 4358 and 4359 in the summer, you must get permission from Dr. Alexey Root by 5 p.m. on the Friday before the first day of class of the eight-week session. After Dr. Root grants permission, each student's advisor will complete registration for eligible students as detailed in the "Getting Started" section above. The permission deadline is in place so that students will have eLearning access by the first class day of the eight week session. Please contact Dr. Alexey Root ([email protected]) with any questions or if you are interested in the program. Dr. Alexey Root Chess Online Advisor [email protected] (972) 883-2323 Learn more about Dr. Root’s history with chess.